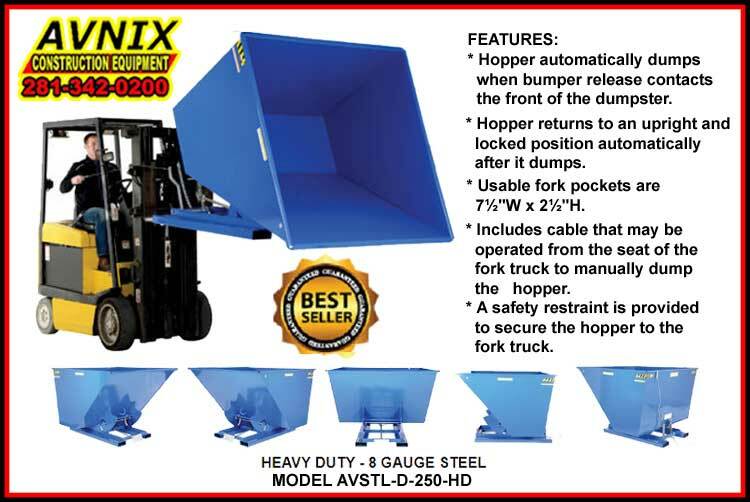 Avnix Self Dumping Hoppers automatically dumps when bumper release contacts the front of the dumpster. Our Heavy Duty Dump Hopper returns to an upright and locked position automatically after its load is dumped. 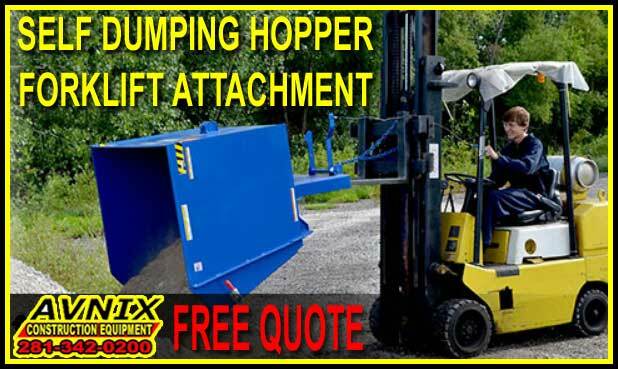 Hopper includes a cable that can be activated from the seat of the forklift to manually dump the hopper. A safety restraint is provided to secure the hopper to the fork truck. Usable fork pockets are 7½”W x 2½”H. Optional leak proof design sold separately. D-25, D-33, D-50, D-75, and D-100 are stackable if you stack the top hopper turned 90° from the bottom. Blue baked-in powder-coated toughness standard with exception of models D-300-HD-NA, D-350-HD, D-400-HD & D-500-HD. * Hopper must be attached to fork truck when dumping.